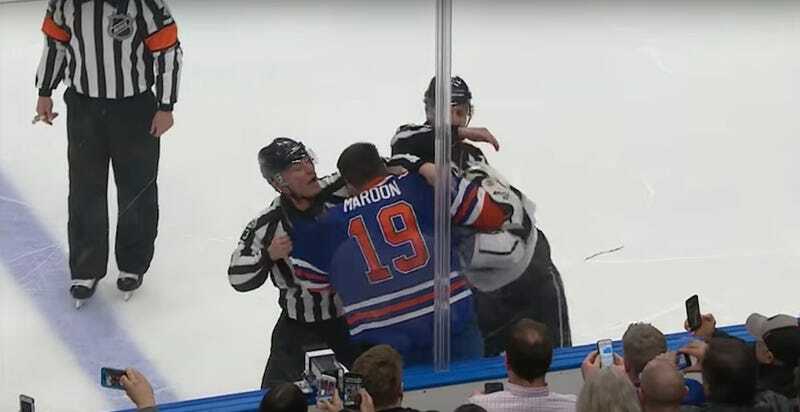 Kings winger Jarome Iginla and Oilers forward Patrick Maroon finished the first period of Monday’s game with matching minor penalties for roughing, after the two got into a shoving match near the Los Angeles goal. Iginla and Maroon were able to stew over the course of a full intermission, so when they left their respective boxes in the beginning of the second, they quickly dropped gloves. This time, Iginla and Maroon each earned five for fighting. They didn’t accrue any further penalties after that as the Oilers won, 2-0.